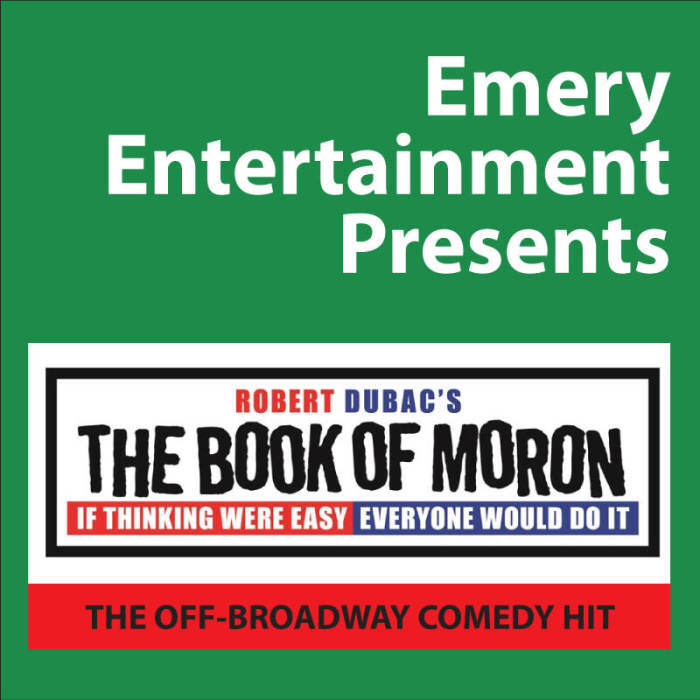 KiMo Theatre - THE BOOK OF MORON - Live! Having been brainwashed by a culture that worships Kardashians over character, Trump over truth and selfies over self-effacement; Dubac begins his journey with one simple question. Who am I? What do I believe? What’s the point? Okay, that’s three questions but suffice to say, he has no answers. Just voices. Inner voices who come to life with precision and wit. 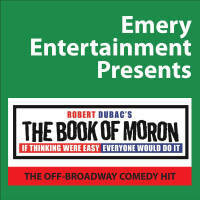 One by one they pull him into a hysterical alternative universe of critical thought in search of the bigger picture. It’s a head trip on a banana peel. 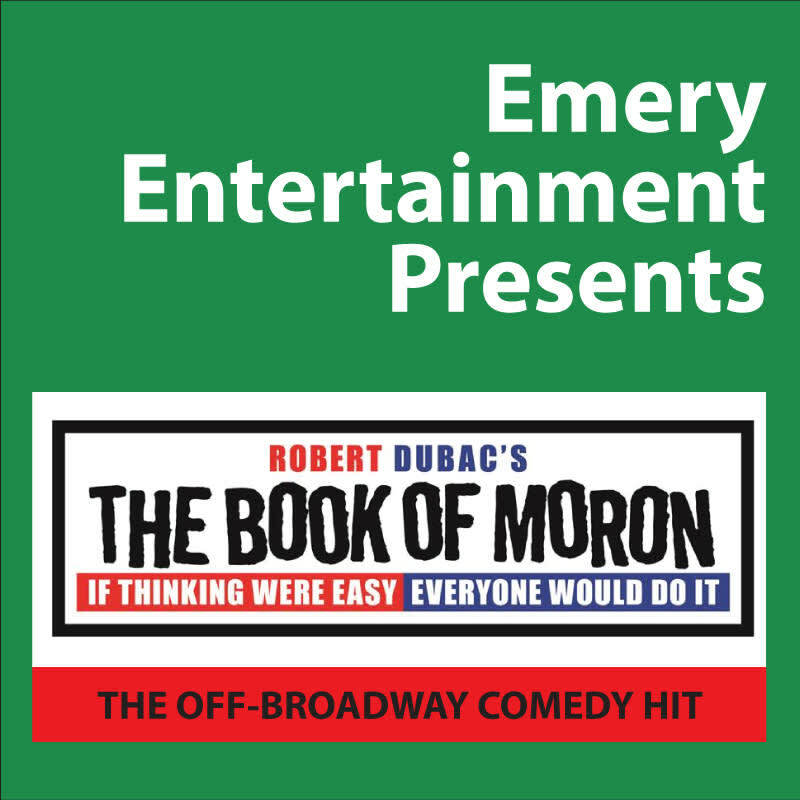 If you are yearning for some satire that cuts with a shrewd sharp edge or are just plumb tired of adolescent comedies generated by the mediocrity of television; then buckle up for a hilarious joy ride over the pot-holed highways of cultural hypocrisy with Robert Dubac’s THE BOOK OF MORON! It’s comedy on steroids. Think your funny bone can handle it?